The purpose of this letter is to announce my unequivocal endorsement of the SOAR Project of Louisiana initiative, the Louisiana Balance of Powers Act. Over the years, an overreaching federal government has destroyed the fine balance of federal and state powers conceived and created by our founding fathers. They have done this by enacting statues in violation of the United States Constitution and forcing them on the states and the people, aided and abetted by a court system that creates new law rather than interprets existing law. It has come to the point that we cannot pray in our schools, celebrate Easter and Christmas in our public places, are forced to purchase medical insurance we don’t want, are being threatened with the loss of our right to keep and bear arms and being detained and incarcerated without due process of law. 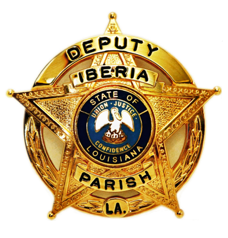 As the chief law enforcement officer of Iberia Parish I have sworn an oath to protect and defend the Constitution of the United States and of the State of Louisiana. I intend to honor that oath regardless of consequences. To that end, I will not allow or enforce any federal orders in violation of those constitutions. Specifically, I will defend the citizens of my parish from unconstitutional abuse or harassment by federal agents, and will protect their God-given rights, including and specifically, their right to keep and bear arms. However, above and beyond my efforts at the parish level, I believe it is for our legislators to act to restore good order to our Constitutional Republic. I firmly believe that the Louisiana Balance of Powers Act is the vehicle to do that. Therefore, I fully support it and call on all state law enforcement and public officials to do the same. Download a PDF copy of this letter.